Are you a student thinking about becoming an entrepreneur? Would you like to learn the key elements of business success? 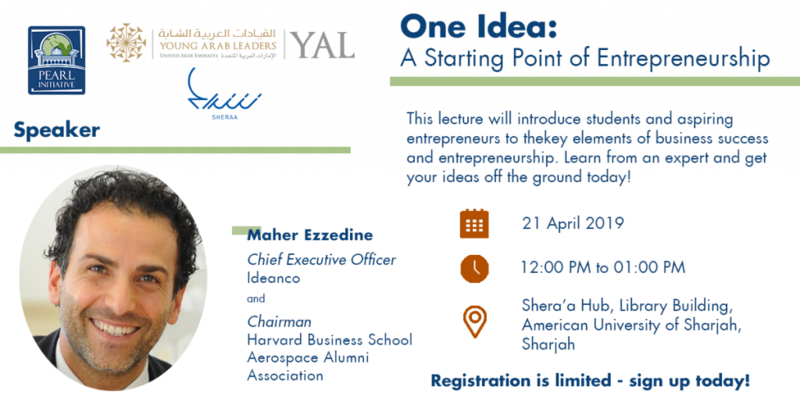 If so, we invite you to attend our lecture, titled “One Idea: A Starting Point of Entrepreneurship,” to learn about how entrepreneurship can be made easy with the right attitude. This event is co-organised with Young Arab Leaders (YAL) and supported by Shera’a. REGISTER HERE!